Pain control in outpatient rigid cystoscopy is often achieved via the application of intraurethral lidocaine jelly. This clinical trial was designed to test the effectiveness and safety of a new method to provide local anesthesia, transperineal urethrosphincteric block (TUSB), prior to rigid cystoscopy. Male patients posted for outpatient rigid cystoscopy were randomized to receive TUSB (group A) using 10–20 ml of 1% lidocaine, intraurethral 30 ml of 2% lidocaine jelly (group B) or intraurethral 30 ml of neutral jelly (group C) as a method of pain control. Following the procedure, plasma concentrations of lidocaine were measured in group A patients. Outcome assessments included mean urethral and sphincteric numerated pain scores (0–10), overall discomfort level (0–4) and plasma lidocaine levels. One hundred and fifty patients were recruited, 50 in each group. When the three groups were compared, the ratio of group A patients with sphincteric pain score ≥2 was significantly the least. Also, the ratio of group A patients with discomfort level ≥2 was significantly less than the same ratio in either group B or C. Plasma lidocaine concentrations were within nontoxic levels and never exceeded 2.83 μg/ml in 39 subjects. 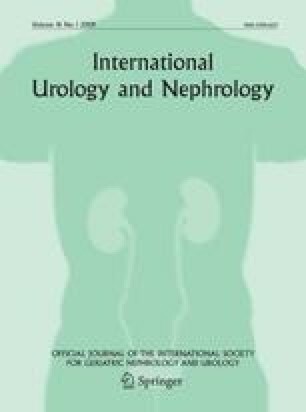 This study demonstrates that TUSB is an effective and safe method in significantly relieving the pain associated with outpatient rigid cystoscopy. TUSB may offer urologists and anesthetists an alternative way to achieve pain control besides intraurethral lidocaine jelly during rigid cystoscopy.